In the last decades, the worldwide rates of non-communicable diseases (NCDs) has skyrocketed to the point of becoming the leading cause of death in the world. According to the World Health Organization (WHO), NCDs kill 40 million people each year, equivalent to 70% of all deaths globally. The most prevalent types of NCDs are cardiovascular diseases, cancers, chronic respiratory diseases and diabetes– accounting for over 80% of all premature NCD deaths. Not surprisingly, the major risk factors for developing NCDs include the use of tobacco, unhealthy dieting and alcohol consumption. Against this backdrop, many states have had to pass legislation addressing the problem. This way, a new type of innovative regulatory measures –– known as ‘packaging standardization’ or ‘space appropriation’ measures because of their restrictive effect on certain intellectual property (IP) aspects of product packaging–– have emerged as an effective policy tool to tackle NCDs. This set of IP-restrictive measures include, but is not limited to: mandatory use of graphic warnings; packaging standardization requirements; mandatory disclosure of information; different types of labelling schemes; point-of-sale display bans and advertising restrictions resulting in the prohibition to use certain marks. Their purpose is to discourage the purchase and consumption of certain health related products –– such as tobacco, alcohol and prepackaged foods ––by way of informing consumers about the health risks associated with their consumption and/or banning the use of certain marks in order to make the presentation of the products less attractive to consumers. It is not surprising that these measures are becoming increasingly popular among policymakers. 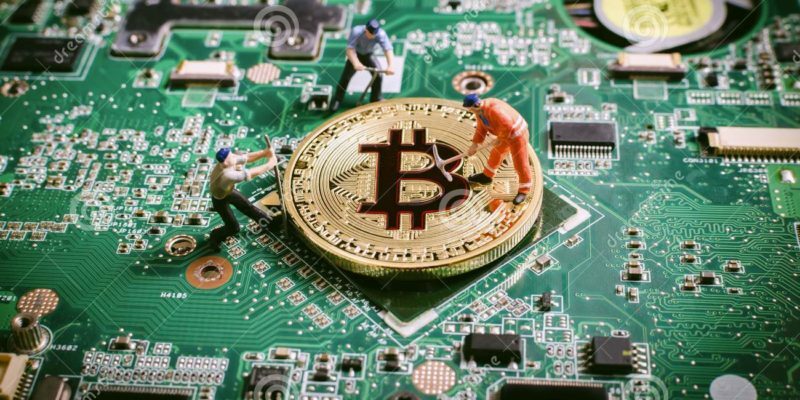 They are able to exercise a stronger influence on consumers’ final purchasing decision, inasmuch as they act at the very point of sale of the product, when the consumer is more likely to be influenced on whether or not to buy it. In addition, they can also influence a buyer’s decision on whether to consume or not a given product after buying it. Alternatively, they can also affect the way the product itself is consumed (for example, putting out a cigarette without finishing it more frequently, consuming smaller portions of certain food products or consuming alcohol in less quantity). For instance, in the context of international investment law, the arbitral tribunal in Philip Morris v. Uruguay had to settle several legal claims made by Philip Morris against Uruguay alleging that certain Uruguayan regulatory measures introducing packaging and labelling restrictions on tobacco products violated the Switzerland – Uruguay Bilateral Investment Treaty (BIT). After five years of dispute, in 2016 the award was finally made public, dismissing Philip Morris’ claims on its entirety. The arbitral award was highly celebrated as giving preponderance to considerations of public health and regulatory space over the protection of IP assets. The tribunal held that ‘[p]rotecting public health has since long been recognized as an essential manifestation of the State’s police power’, recalling that ‘[t]he police powers doctrine has been applied in several cases to reject claims challenging regulatory measures designed specifically to protect public health’. Similarly, albeit in the context of the international multilateral trading system, in 2012 Ukraine initiated consultations with Australia under the World Trade Organization (WTO) concerning certain labelling and plain packaging requirements of tobacco products. Although Ukraine later dropped out of the dispute; Honduras, Dominican Republic, Cuba and Indonesia all filed separate proceedings before the WTO concerning the same requirements, claiming that Australia had breached several international trade rules. 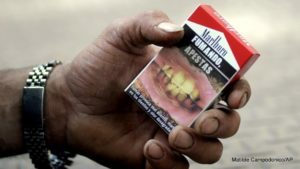 The panel report is yet to be made public, but according to Bloomberg News, the panel has upheld Australia’s right to impose plain-packaging restrictions on tobacco products. 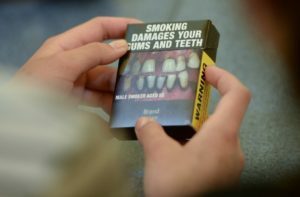 Tobacco plain packaging measures have also been challenged before national courts, raising issues as to whether national IP legislations confer trademark owners a positive right to use their marks. In JT International SA v Commonwealth of Australia, the High Court of Australia held that Australian IP law only conferred trademark owners a negative right to exclude others from using the same mark, despite that the wording of the law clearly stated that mark owners enjoyed a positive right to use their marks. Similarly, in British American Tobacco (UK) v. The Secretary of State for Health, the UK Court of Appeal concluded that EU and UK law did not grant a positive right to use trademarks. In a relentless fight against obesity, some countries have also had to pass comprehensive regulations aimed at transforming their populations’ eating habits. A clear example of this is Chile, which has attracted the attention of experts and policy makers worldwide for its ambitious food regulation introducing two highly controversial measures: (i) a mandatory food labeling scheme informing consumers about high contents of calories, sugars, fats and salt in prepackaged food products (‘high in’ products); and (ii) a total ban to advertise ‘high in’ products to children under the age of fourteen resulting in a prohibition from using well-known marks considered to constitute children advertising. However, the new regulation was delayed almost a decade due to the strong opposition it had to face. 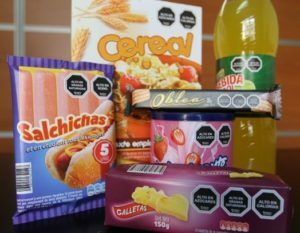 At the national level, after food corporations successfully delayed the regulations’ entry into force for several years, they have now lodged several lawsuits against the Chilean state challenging the legality of the prohibition to use their properly registered trademarks. As of today, these cases are still pending. Similarly, at the international level, WTO Members exercised strong opposition against the Chilean regulation during its drafting process. Concerns were raised that Chile’s mandatory food-labeling scheme violated several trade rules and that it constituted an unnecessary obstacle to international trade and was not based on international standards. In sum, as the examples above demonstrate, this emerging category of regulations touches upon many legal issues, including states’ regulatory space under international trade and investment law; the nature of trademark rights under IP rules; and on how to reach a proper balance between the protection of IP rights and the protection of public health. Additionally, the recently amended EU IP regime stating that trademark rules should be ‘applied in a way that ensures full respect for fundamental rights and freedoms, and in particular freedoms of expression’, is likely to raise questions regarding the relation between IP and fundamental rights if similar IP-restrictive measures were passed in the EU. However, as states are increasingly bearing the health-costs of their populations’ consumption habits, we will most probably see more and more countries adopting similar measures in the future. Thus, confrontation between states and producers of health-related products are also likely to become more frequent. But as these measures’ compatibility with national and international legislations becomes clearer, and as more countries follow suit on Australia, Uruguay and Chile’s example, we can expect that corporate efforts to curb the adoption of such regulations will become less effective as well. A. Alemanno, ‘Unpacking plain packaging and other standardization requirements in the light of behavioral sciences’ in A. Alemanno and E. Bonadio (eds.) The New Intellectual Property of Health: Beyond Plain Packaging (Cheltenham, UK and Northhampton, MA, USA: Edward Elgar Publishing, 2016), p. 16. Regulation (EU) 2015/2424 of the European Parliament and of the Council of 16 December 2015 amending Council Regulation (EC) No 207/2009 on the Community trademark and Commission Regulation (EC) No 2868/95 implementing Council Regulation (EC) No 40/94 on the Community trademark, and repealing Commission Regulation (EC) No 2869/95 on the fees payable to the Office for Harmonization in the Internal Market (Trademarks and Designs), OJ L 341 of 24 December 2015 p. 21– 94 (‘Trademark Regulation’ or ‘Regulation’) point 21 and Directive (EU) 2015/2436 of the European Parliament and of the Council of 16 December 2015 to approximate the laws of the Member States relating to trademarks OJ L 336 of 23 December 2015, p. 1–26 (‘Trademark Directive’ or ‘Directive’), point 27.